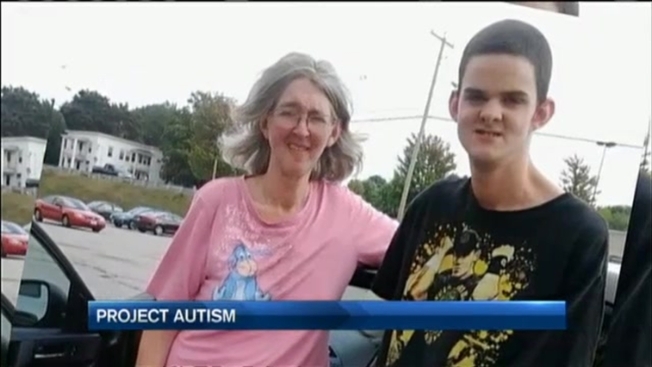 Autistic Maine Teen Calls Home From Calif.
A teenager with autism from Maine, who was missing for days, has been located in Los Angeles, California. James Allen, 18, of Lewiston, was reported missing Saturday night. His parents say he wandered from home that night and boarded a Greyhound bus bound for Hollywood. "He saw a pop up ad on his laptop for California and he just wanted to go see it," said mother Laura Dumas. She said her son has wandered away in the past, but she never imagined he could end up across the country. "I was shocked that he knew enough to walk to the Greyhound and purchase a ticket," said Dumas. Early Wednesday morning, Allen sent his parents a text message that he was safe in California, but that he was hungry, scared, and wanted to come home. With help from California police, Allen was able to board a flight back to New England, and is expected to return Wednesday night. "These are life and death situations," said Autism Safety Educator Matt Brown, who trains law enforcement about Autism Spectrum Disorder. Brown recommends parents look into obtaining GPS trackers through Project LifeSaver. Participating police departments have the devices, that are the size of a watch, for people with Autism and Alzheimer's. Brown said many police departments have Autism databases. Parents can call the department and give them information about their child to help police respond appropriately in an emergency. "If the information is out there ahead of time, maybe we can have better outcomes," said Brown. In this case, Allen's safe return home is the best possible outcome, and his mother is extremely grateful. Dumas said she knows exactly what she will say to him when she picks him up at the airport: "I love him more than anything, and don't ever scare the hell out of me like that again."